Wednesday, March 7th from 5:30-7:30pm. The event will offer informative presentations by our local experts covering what we can expect in the event of a disaster on Orcas Island. Let’s gather as a community and learn what steps we can take to prepare our homes, ourselves, and our families. 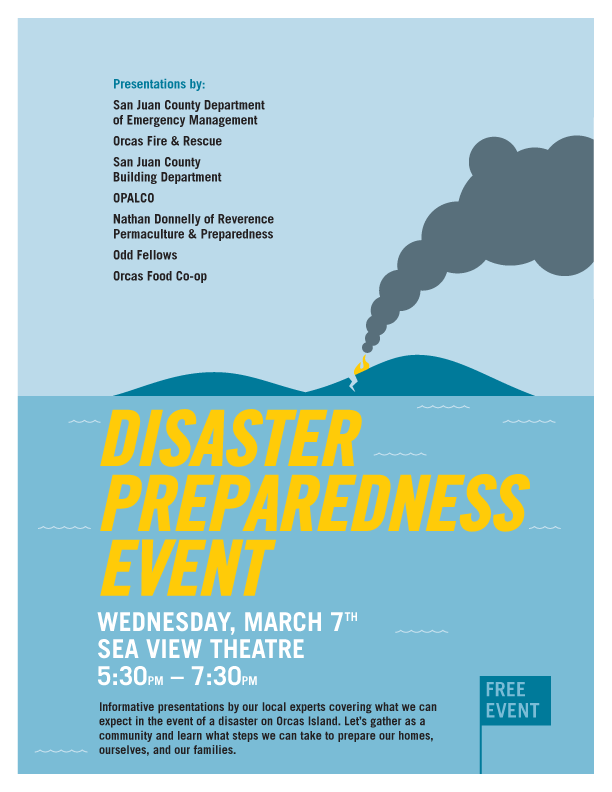 Presenters include San Juan County Department of Emergency Management, Orcas Fire & Rescue, San Juan County Building Department, OPALCO, Nathan Donnelly of Reverence Permaculture & Preparedness, Odd Fellows, and Orcas Food Co-op. OWC's International Women's Day Celebration!